Even though Berlin may surprise a few with its shopping quirks - stores are all closed on Sundays and many of them don't take credit cards, for example - it's still a superb place to buy clothes, with a fantastic combination of vintage clothing, a large presence of international classic and streetwear labels and a buzzing and independent local fashion scene. As befits a city where someone under 30 wearing a suit is likely to turn heads, streetwear is Berlin's thing. A walk though Kreuzberg or Neukölln will tell you this straight away, and the street style that emerged from the city's legendary techno scene is all about individuality and experimentation. 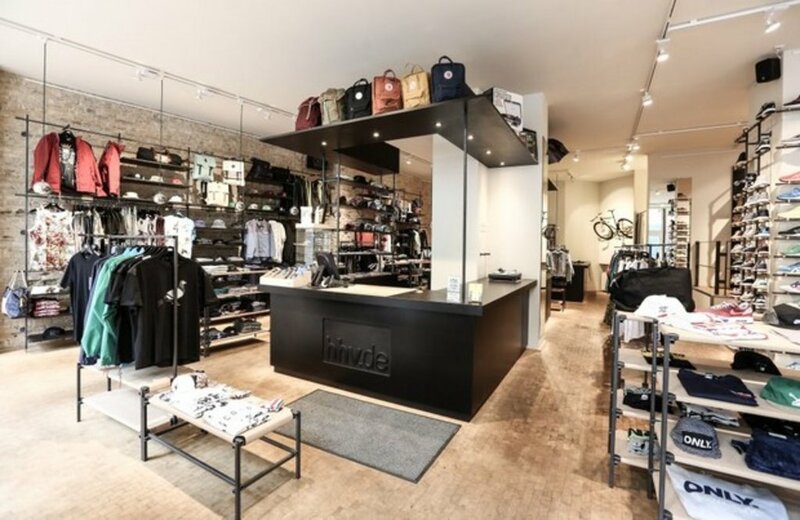 Some of the best streetwear stores include HHV in Grünberger Strasse, where you'll find a great range of trainers and brands such as 10 Deep, Stüssy, Cheap Monday and Fjäll Räven; Overkill, in Köpenicker Strasse, is an impressive two-floor space that stocks a mixture of Onitsuka Tiger, Carharrt, New Balance and Cayler & Sons; and BQL, in fancy Kastanienallee, which stocks brands such as WESC, Adidas and Les Deux. Few of these brands are local, but you'll see their echoes across town, as most Berliners still dress like they're going clubbing even if they're on their way to work. But the true home of fashion in Berlin is Mitte, where in the space of about ten blocks between Alexanderplatz and Hackescher Markt, you'll find many of the city's coolest brands cheek by jowl with various international labels. Wander the streets surrounding Alte Schönhauser Strasse and Rosenthaler Strasse and you'll find the likes of the ever-popular Das Neue Schwarz (its name means 'the new black') - a superb sample outlet where you can often get beautiful high fashion pieces for great prices - and Lala Berlin, a local label with a special place in the heart of stylish Berlin women, most of whom own one of designer Layla Piedayesh's colourful print pieces. 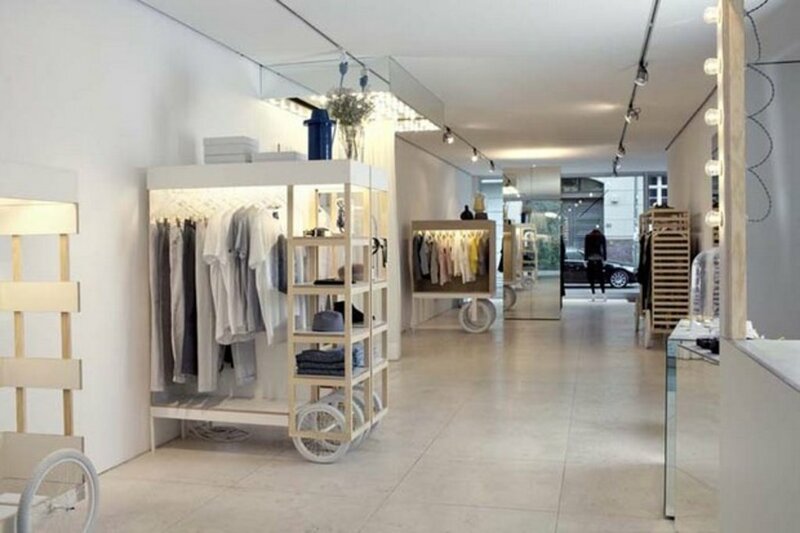 The concept store is also big business in Mitte. These places are part shop, part hang-out, and usually have in-house DJs making the tired playlists of chain stores look pretty poor by comparison. 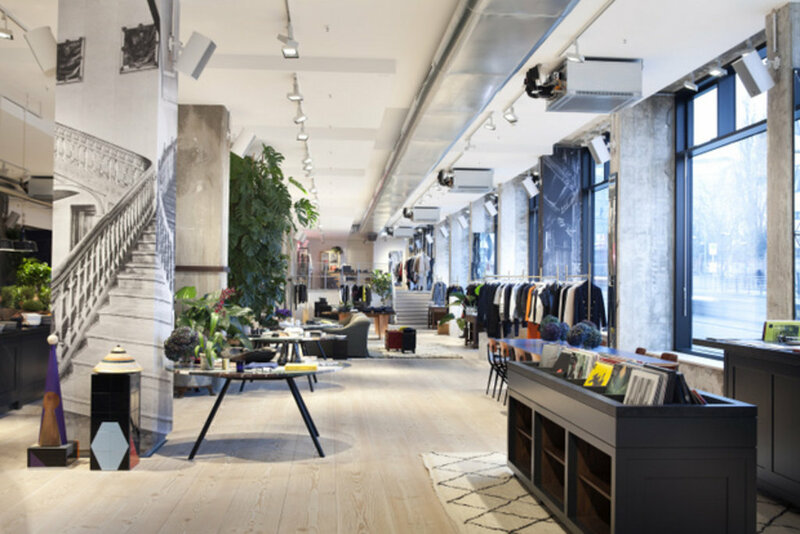 The most talked about concept store recently is simply called The Store, and has an enormous light-bathed location on the ground floor of Soho House Berlin in Mitte. Here you can do anything from browsing its carefully curated clothing lines, toiletries, vinyl, design items and accessories to enjoying a drink at its café, getting your hair cut or even your nails done. 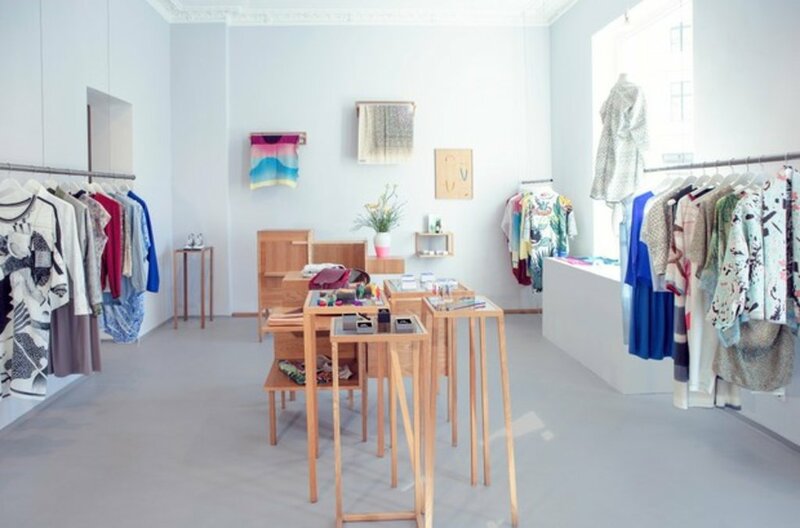 Another concept store worth checking out is Konk in Kleine Hamburger Strasse, a far smaller but long-established place that stocks exclusively local designers, with a focus of nurturing new talents and working sustainably. Stylish gentlemen in the same area should head for Trüffelschwein, a gorgeous collection of carefully selected independent labels run by a charming team of fashion fanatics on Rosa-Luxemburg-Strasse. Nearby Baerck on Mulack Strasse stocks an understated and pared down selection of cool clothing for both men and women, all a world away from Berlin's streetwear fetish. Big international fashion brands are not really what Berlin is about, but as a major European capital there's still plenty to choose from. The big names are mostly found around West Berlin's main shopping street, Ku'damm, where the boutiques radiate around the Kaufhaus des Westens, known to Berliners as KDW (kah-day-vay) - the closest the German capital comes to Harrods. KDW is a big tourist draw, mainly for its fabulous food hall, but it's also a one-stop shop for shoppers after classic high-end brands all under one roof. The neighbourhood is not all as formal though, with concept mall Bikini Berlin opening last year. And as well as putting West Berlin back on the fashion map, it hosts a slew of local designers you won't find anywhere else in its flagship LNFA store. The one slight irony of shopping in Berlin is that despite the earth-shattering coolness of much of Kreuzberg and Neukölln, there's not so much in the way of good contemporary fashion there. What Kreuzberg does boast instead is a number of impressive vintage and second-hand outlets, most notably in and around Bergmannstrasse, some way from the trendier areas. Try Checkpoint Second Hand and Colours Kleidermarkt, where in both you'll need to sift through a lot of clothing, but the rewards can often be worth it. Or head to Kreuzberg's best concept store, Voo Store on Oranienstrasse for a great selection of contemporary international designs. Fancy a shopping trip to the German capital? 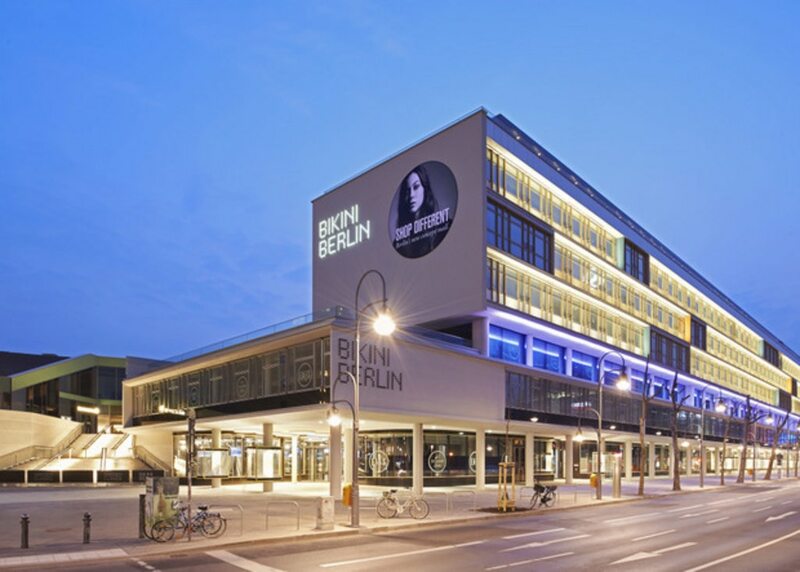 Take a look at our Berlin hotels here and plan your trip.